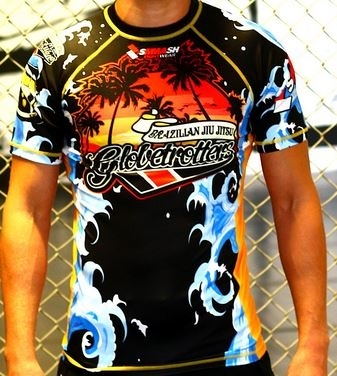 Since my 8 yr old son trains at Tinguinha Brazilian Jiu Jitsu Academy, my teammate/training partner, Kris Shaw, the owner of BJJ Legends Magazine asked me to review the new ‘Sprout’ kids gi from Submission FC. This is the same company that got some bad publicity in the past for their adult line of ‘Hemp’ gi not being made out of hemp (it was actually a cotton/polyester blend like this kids gi). I have owned one of those ‘Hemp’ gi for 2 years and even though it’s not made out of hemp as advertised, it’s one of my favorite gi in my collection. The reason why I mention this is since both gis are made from similar material, I will know how it will hold up over time. At least this time, they didn’t claim to have been made out of ‘sprouts’. First Impression: When I took the gi out of the bag, both the gi jacket and the pant felt really soft. It didn’t feel super light but it wasn’t a heavy gi either (the weight of the gi compared to my son’s other gis which are Tatami Estillo and Vulkan Pro Kids). The gi pant seemed baggier than the other gis he owns. The black gi color my boy chose had green/yellow embroidery throughout the gi. On the gi jacket, the name of the company, Submission, was embroidered on both shoulders, name of the gi ‘Sprout’ was embroidered on the left front bottom and back bottom of the gi jacket. There was also couple small embroidery that resembled a bean sprout near the gi jacket vent openings. The gi pant had similar theme. Sprout embroidery near the knees, along with Sprout embroidery and cotton patch near the waist. All the stitching/draw string were done in green material which made for a sharp looking gi (even though my boy and I are Lakers fans, he didn’t mind wearing the Celtics colors). As you can see, there is minimal shrinkage with the gi. I think this is due to the material being cotton/polyester blend. The gi was always washed in warm water and put in dryer at medium heat setting. Once you find the right size, you can wash/dry without fear of shrinking too much. 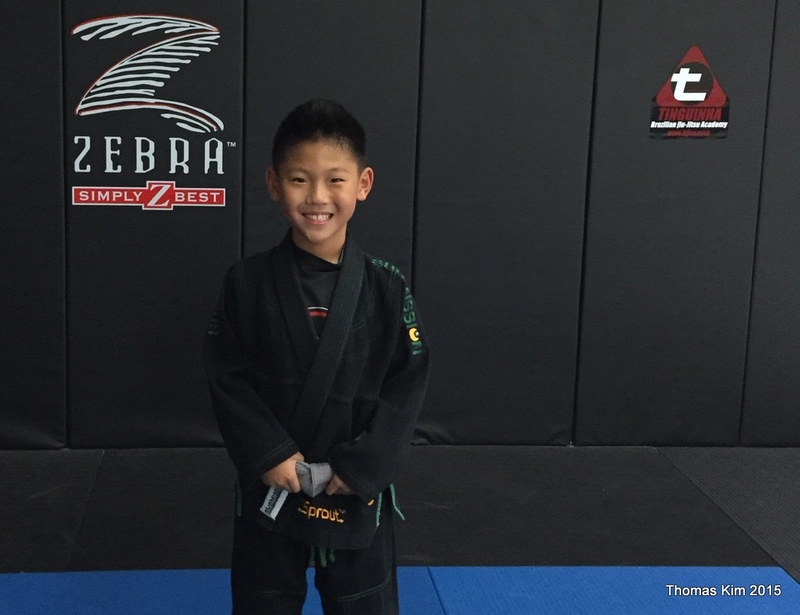 Review: My boy trained in this gi over 20 times in span of 3 months. He liked how soft it felt and how comfortable it was during training. He also liked how the gi looked. First thing out of his mouth when he saw the gi was “cool”. There were only couple things he wished different about the gi. He wished the gi pant were little slimmer fitting. He is a tall/skinny 8 yr old and pant looked baggy on him. Also, he wished the pant had elastic waist band like his Tatami Gi, instead of the draw string. As for the wear of the gi, after 20 washes, there was minimum fading on the black gi. I was told by a friend to soak the black gi in vinegar/water combo to reduce the fading but I got lazy and did not do it, however, as you can see in the picture, there is minimum fading of the gi. 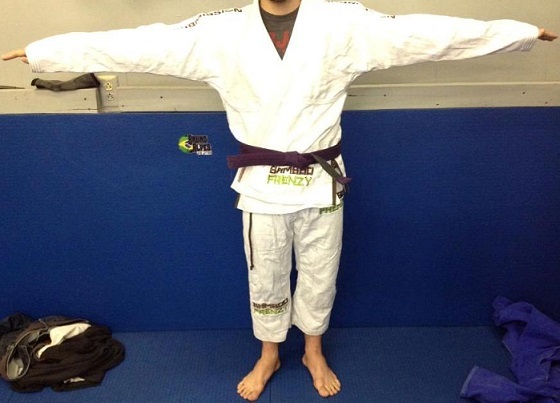 I also mentioned earlier that I have owned the Submission ‘Hemp’ gi for two years which is made of similar material. I know from experience that this material will last a long time and get even more comfortable as time passes. Conclusion: If you are looking for a durable, great looking gi for your little one, I highly recommend this gi. You can wash/dry without fear of shrinking. Able to use the dryer without fear of shrinking is great since if you hang dry the gi, your little one will end up wearing a stiff gi, which isn’t too comfortable. Also, this gi will last a long time without showing much wear and tear.